Our purpose is to occupy the horizons of knowledge, to extend them, and to ask bold questions that drive exploration forward. We strive to practice and teach learning and discovery as ways of being that enrich lives, solve problems, extend opportunity, and create a better world. 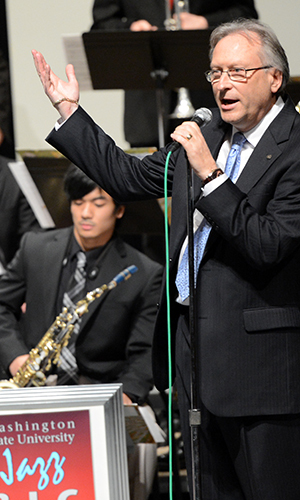 At the inception of the new College of Arts and Sciences, we call attention to values that we share broadly. Recognition of these shared values can provide a first step, helping to focus our joint efforts in pursuit of our vision. Inquiry: Exploration is the foundation of our shared creative, scholarly, research, and educational efforts. Our inquiries are diverse, reflecting the great span of intellectual and creative interests in the College of Arts and Sciences, and they all result in products that enhance our world and our understanding of it. Education and the Promotion of Broad Understanding: Building on the finest traditions of the American public research university, our teaching is informed by our research and creative endeavors, the histories of thought in which they are based, and the challenges of our time. Our interdependent commitments to inquiry and instruction, across the range of human knowledge, are critical to the depth, breadth, and quality of our students’ educations. Addressing Human and Global Conditions: A wide range of research and scholarship in the college coalesces around the enduring issues of sustainability, health, and security as applied to people and other life, sociocultural systems, and natural environments. Through our artistic, humanistic, and scientific inventions, we contribute to solving the problems that confront us at local to planetary scales. Outreach and Service: Service and outreach that extend beyond the University are central to the land-grant mission of WSU. The faculty, staff, and students of the college serve local and regional communities as well as the nation and the world by applying our scholarly and creative work to practical needs, participation in professional societies and other organizations, service to governmental and nongovernmental agencies, the dissemination of scholarly and presentation of creative products, through the outreach of museums and institutes, and many other avenues. Diversity, Equity, and Ethical Behavior: Both human and intellectual diversity are essential to encompass and meet the wide-ranging challenges presented by the contemporary world. The college and its units are committed to increasing the diversity of faculty, staff, and students and to creating an equitable environment that promotes the success of all of these individuals. This success is contingent upon adherence by all members of the college to the highest standards of ethical behavior in their interpersonal interactions and educational and professional endeavors. This vision offers a guide to realizing our shared values. To be useful, vision aspirations must be addressed by the leadership and community of the College of Arts and Sciences in planning and decision-making. To be practical, vision aspirations need implementation strategies, and we end this section with recommendations that will help us to achieve our objectives. To be successful, vision aspirations must evolve as objectives are achieved, opportunities change, and new problems arise. 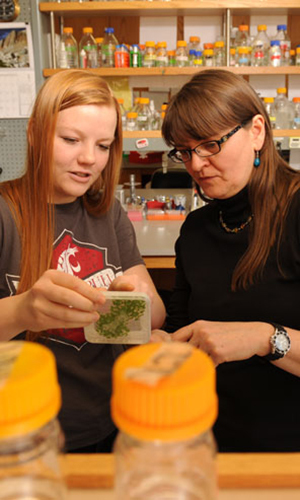 The college will enhance its local, national, and international recognition for research and creative excellence as it leads WSU to the front ranks of research universities. Research efforts of the college will be integral to and play a major role in furthering the strategic initiatives of WSU. With research, creativity, and scholarly production as a central focus, the college must improve its infrastructure and resources and adopt policies to expand research, creative, and scholarly achievements. Faculty will engage undergraduate, graduate, and postdoctoral students in advanced research and artistic creativity that drive the frontiers of contemporary knowledge. The college will increase its role in solving important societal problems by helping bridge basic and applied research and by making our creative and scholarly works broadly accessible. The college will lead WSU in multidisciplinary research and artistic creativity by substantially strengthening interactions among disciplines within the college and with other academic units, centers, and programs across WSU campuses and by reaching out to forge links with other universities and research institutions across the globe. The learning environment of the college will be based upon inquiry and will foster critical thinking, acquisition of essential skills and knowledge, and ability to communicate effectively. Through its commitment to general education, the college will foster breadth of understanding, multiple literacies, appreciation of diverse ways of knowing, and the basis of informed citizenship. The college aims to prepare undergraduate majors in disciplinary majors and interdisciplinary programs for nationally and internationally competitive professional careers. The college will train graduate and post-graduate students for international leadership in cutting-edge, interdisciplinary research and artistic creativity. The college aspires to be a university leader in public outreach and development of policies that offer sustainability, security, and health in a changing world. The ongoing development of institutes, museums, and departmental outreach that facilitate communication of scholarly and artistic work to the public in Washington and beyond will be a priority. The college will advance the core facilities and institutional resources that contribute to the shared mission of WSU. Through encouraging faculty service and leadership in our communities, professional societies, funding agencies, review panels, editorial boards, and governmental and nongovernmental organizations, the college will foster the arts, humanities, and sciences across Washington, the nation, and the world. The college will pursue creative recruitment and retention efforts to improve the diversity of the faculty, staff, and student body. To improve equity, morale, and outcomes, the college will work to formalize faculty, staff, and student participation in decision-making and governance. Broad-based involvement of the college’s community in its strategic planning, new initiatives, and performance evaluation will be essential to achieve buy-in from stakeholders both inside of the college and outside of it. Members of the college community will be fully integrated in planning and implementing the strategic goals of WSU. The college will promote free and open communications centered in mutual respect among administrators, faculty, staff, and students. The college will provide a supportive environment that promotes excellence in achievement through equitable treatment of individuals and access to and fair distribution of resources. We must emphasize outreach and effective communications about our mission and accomplishments to promote the visibility of the College of Arts and Sciences. This will reinforce our centrality to the mission of the University, help to recruit students and faculty, secure additional funding support, and establish the collaborations and partnerships vital to realizing our vision. The college must be introspective but also flexible and responsive to established and emerging opportunities, novel uses of our resources, and innovative paths of creative activity. The physical, financial, and technical resources of the college, including its administrators, faculty, and staff, must be energized toward effective and efficient achievement of its goals. In order to achieve our vision, resources must be not only increased but also strategically, effectively, and fairly deployed. Administrators, faculty, and staff must be entrepreneurial to diversify and strengthen revenue streams. Our college and its academic units must augment resources from the University by actively seeking external grant support and by soliciting support via philanthropy. The strengths of the diverse disciplines in the college can be bolstered substantially by hiring new faculty with strong, focused research or artistic programs that are also interdisciplinary and collaborative, by vigorously fostering national and international collaborations, and by pursuing opportunities to promote multidisciplinary education and training. Our vision for education and training within disciplines includes outstanding instruction for introductory core and nonmajors courses and an increased commitment to upper-division and graduate courses. Ongoing critical evaluation of curricular goals, teaching arrangements, and instructional methods will be essential for achieving our objectives. We must strategically strengthen graduate programs, especially by promoting inter- and multidisciplinary efforts that serve to train students in ideas at the frontiers of knowledge and creativity. This strengthening must be augmented by funding approaches that allow for more effective recruitment of the best students and provide more competitive stipends. The college must be more active in promoting diversity among its faculty, staff, and students and incorporating diverse perspectives and broad participation in leadership and decision-making. Leadership of the college must engage the faculty broadly and extensively in decision-making and strategic planning to improve participation of stakeholders, to develop a sense of shared ownership, to enhance morale, and to improve outcomes if the college is to be successful. Initiatives to enhance college productivity, prominence, and success in research, scholarship, and creativity must emerge from collaborative processes between faculty and leadership.